Marketing options are basically becoming endless in the technological world we live in today, especially with social media. One can easily start an advertising campaign on Google or even Facebook in order to generate new leads for any kind of business. These marketing capabilities are definitely beneficial to all businesses attempting to make their presence known on a wider scale, but there is an even better way to market a business out there that sometimes goes by unnoticed. SMS marketing prevails over things like social media marketing because it is more specified to each individual within your potential audience. 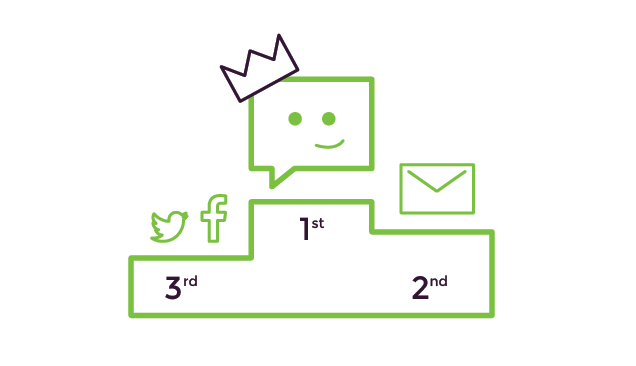 Overall, an SMS marketing campaign gains more traction than any Facebook or Twitter post. 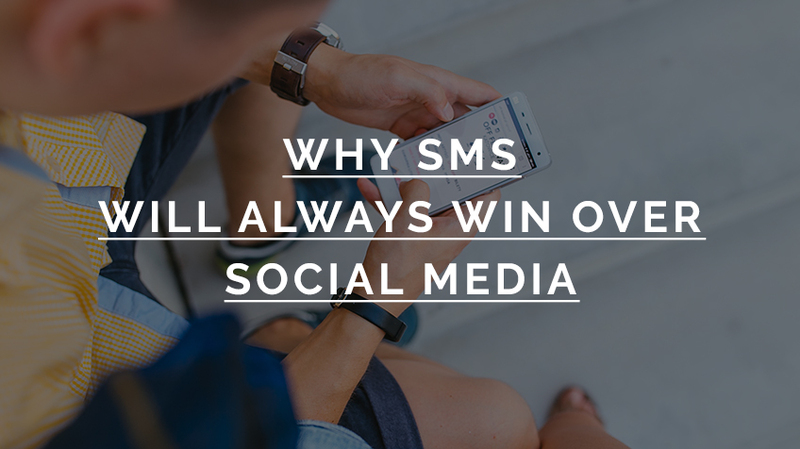 Here are some reasons why SMS will always win over social media marketing. How many times have you received an email only to delete it before it was even opened? Better yet, how many times have you seen a Facebook or Twitter post at a glance and scrolled past it almost automatically because you didn’t think it would interest you? The truth is, according to a recent study, 84% of Facebook news feed stories go by completely unnoticed. Not only that, but 71% of Tweets aren’t viewed and 88% of emails are not even opened. The reach of SMS and MMS messages, however, is incomparable. 98% of SMS and MMS messages are actually opened by the people who receive them. In terms of unique Facebook users within the United States alone, the numbers pale in comparison to that of SMS. According to recent data, there are currently 161 million individual Facebook users who are active within the US. SMS, on the other hand, is used by over 200 million unique users within the United States. This means that there is so much more potential for success in SMS marketing than there is in social media marketing. On average, 91 million people use Facebook on an everyday basis. Within that 24 hour window, 3.2 billion ‘likes’ as well as 300 million photo uploads occur. In the meantime, over 170 million Americans text on a daily basis and within those 24 hours, 6.4 billion text messages are sent all over the country. The overall consistency of usage for SMS is second to none! The average American looks at his or her phone literally over 150 times within a single day. Compare that rate to the 58% of users who actually log in to their Facebook accounts as well as the 57% of people of people who check their email less than four times within a single day and you can clearly see: there really is no competition. Broadcasting to a larger audience may seem like the better option, but overall your message gets lost in the shuffle. If you want your marketing to yield real results, try SMS. You won’t be disappointed.